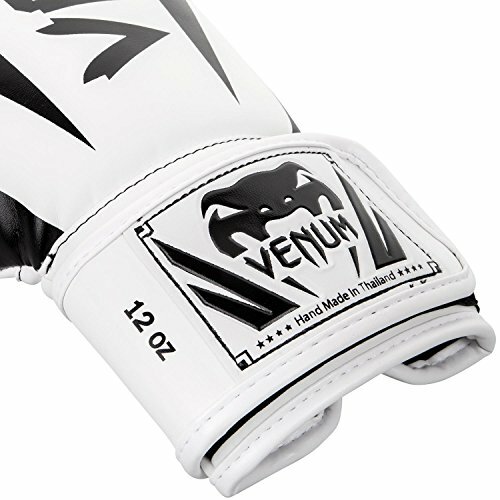 The Venum Elite Boxing gloves are back in White/Black! 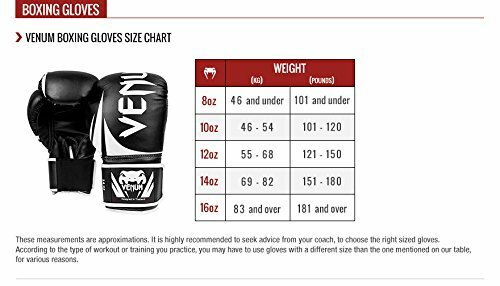 These boxing gloves are completely handmade in Thailand, with the best price and the best quality. 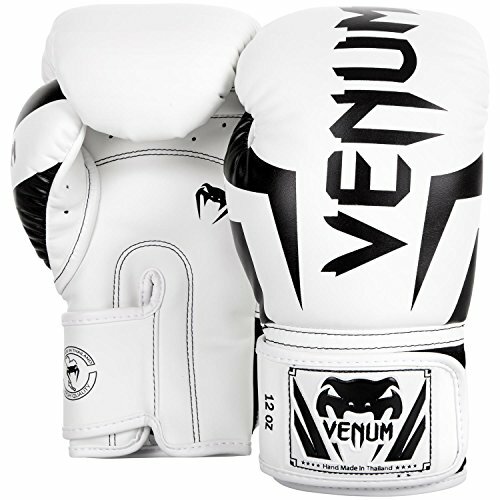 Ideal for training, these Venum gloves provide optimal shock absorption with each punch, thanks to a triple density foam for maximum protection of the metacarpals. 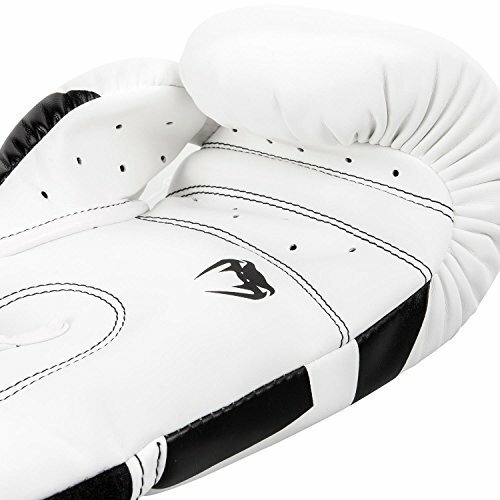 Its ventilation system coupled to its ergonomic design provides comfort during the fighting. 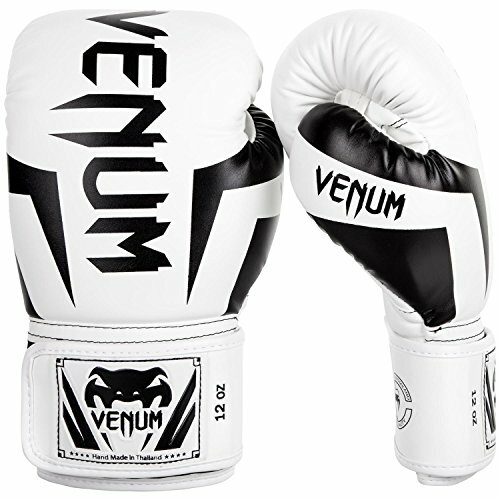 These gloves are for the elite fighter, focus on your performance. Battle after battle, you'll be able to improve without stress. "Train hard, Hit Better”! Technical features: Premium Semi leather construction. Ventilation system placed under the fist for a great thermal regulation. Triple Density foam. Reinforced palm for a maximum absorption. 100% full attached thumb for a better injury prevention. Strengthened seams for a long-lasting quality. Large Velcro enclosure with elastic. Long cuffs improving wrist protection. Venum logo. Handmade in Thailand. Panneaux mesh stratégiquement placé pour une régulation thermique optimal. Mousse triple densité. // paume renforcée pour une absorption maximale.